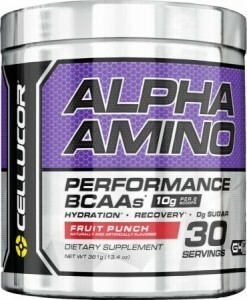 Mix one to two scoops of Cellucor Alpha Amino™ in a least 250mL of cold water or other beverage of choice daily. Settling may occur. Consult your physician before using this product. Women during pregnancy and breastfeeding consult with your doctor about the possibility of product usage. If you are under medical supervision for any reason, consult your doctor before starting to use the product. Reduce or discontinue use if signs of nervousness, tremor, drowsiness, loss of appetite or nausea. Not intended for persons under age 18. Keep out of reach of children. Before using this or any other dietary supplement, as well as before you start training program, consult your physician or other expert. Do not exceed recommended dose. During use of the product consume enough water. 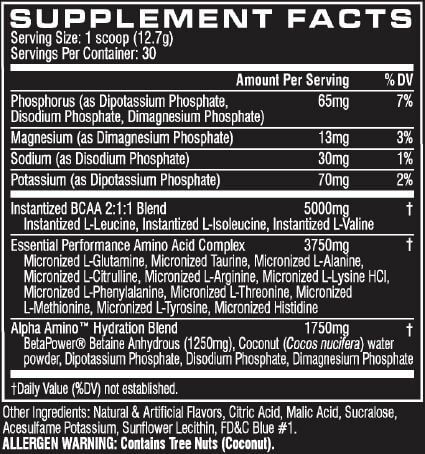 Do not use supplements as a complete replacement for a balanced diet!